This jQuery plugin combines pagination and scrolling in a simple user interface. You can use it to show the differents pages in a creative way. 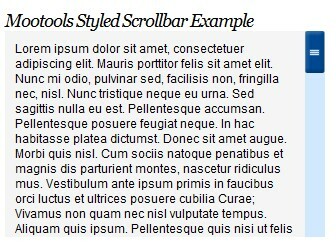 Scrollbar jQuery plugin full customizable with CSS. It support horizontal and Vertical scrolling with mouse-wheel support. 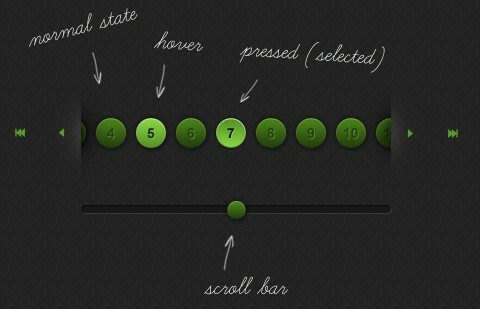 In this tutorial,you will learn how to create a image scroller, making use of jQuery?s excellent animation features. This scroller will be completely autonomous and will begin scrolling once the page loads. This tutorial will show you how to create a content panel that slides out at a predefined scroll position. It can be expanded to full page size to show more. A custom slider allows to scroll through many items in the panel. 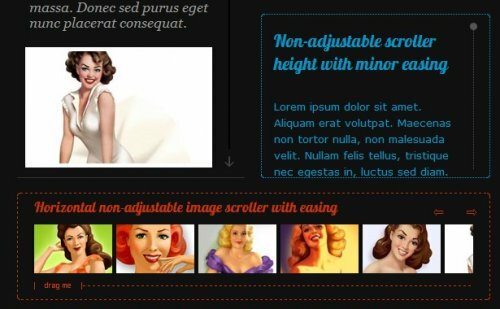 jQuery plugin that scrolls content horizontally left or right. Smooth Div Scroll does not limit the scroling to distinct steps. There are no visible buttons or links since the scrolling is done using hotspots within the scrollable area or via autoscrolling. How to create a CSS-styled scroll bar from the MooTools slider class. This Mootools plugin will help you to give style to the clasic navigation scroll bars. ow many times are you putting together a HTML navigation block or utility block of elements that you wish could be seen everywhere on a page? I?ve created a solution that will seamlessly allow you to do so: ScrollSidebar. ScrollSidebar allows you to attach an element to a place on the screen and animate the menu to the current scroll position. 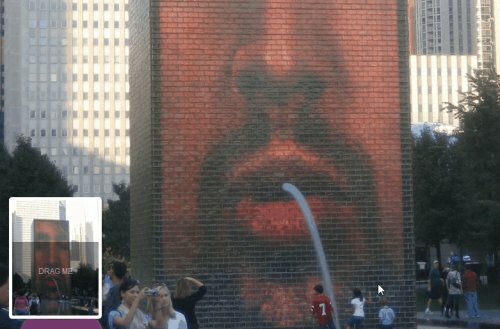 Here's a way to scroll to the top or bottom of your website with a simple click. I have used the jQuery special scroll events from James Padolsey, and some few extra lines of jQuery. There are two buttons with fixed position on the bottom left of the page, each one with the functionality to move either down or up in the page. 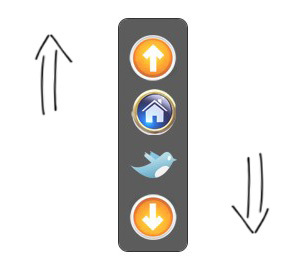 If you scroll the page, these two buttons will fade out, which gives a nice and smooth effect.